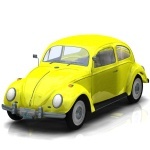 Quote Reply Topic: Become a test drive member! Ever wanted to take a brand new product for a test drive for free? On all the forums I've taken part in (Rockgrotto, Head-Fi, Jaben Network - correct me if I'm wrong), members take pride in being trustworthy enough to be able to loan a "beta" tester (a production unit) for a couple of weeks and then pass it on to the next member in the queue. Usually trusted members are those with at least 100 posts who have shown their commitment to a forum. However, here we are still a foundling community. How do you think this community should handle beta testers like the new NOVO headphone amp? Hello from sunny Miami Beach, Florida! Long time since we have exchanged emails. Ideally it should be for long standing memebers of this forum and that have shown a genuine interest in your products and services. Of course by my own words I am kicking myself in the but since I too would love to be a beta tester for the Novo but this being my first post it would be highly unlikely that I would get chosen. Good luck in your new endeavor! I'd like to be considered, too! I’d love to be a beta tester for anything other than headphone stuff - headphones just aren’t my thing (except for bias setup). If the testing is to be of value though I wonder what would be used as control. I ask that because much as I love to ramble on about stuff, I was a bit stumped when I had the Elevator recently. After a little burn-in it was clear that the Reflex+Elevator combo worked great but I could not think of any practical way of assessing the Elevator. This was because even though the two MC's I used were known quantities, whatever I heard from them was via the Reflex. Since I already know that the Reflex could probably make a fist of a matchbox with nail through it, without an alternative product to compare it to, it was impossible to say what the Elevator was doing (other than teeing up the signal for the Reflex). Well, I am sure that I live too far away to be of any use in respect of beta testing even if I do have some references for comparison. Only posted to say thank you to Ivan - even though I do often use headphones, it had never occurred to me to use their natural channel separation to use them to adjust bias - good tip. If you need anyone, else - I'd be happy to participate. I'm very interested in the Novo... if... its SQ is as good as the Solo with high impedance phones... and... is better with low impedence phones. I loved the Solo with my Senns... but... wanted an amp that would drive Grados, ATHs and Denons as well.